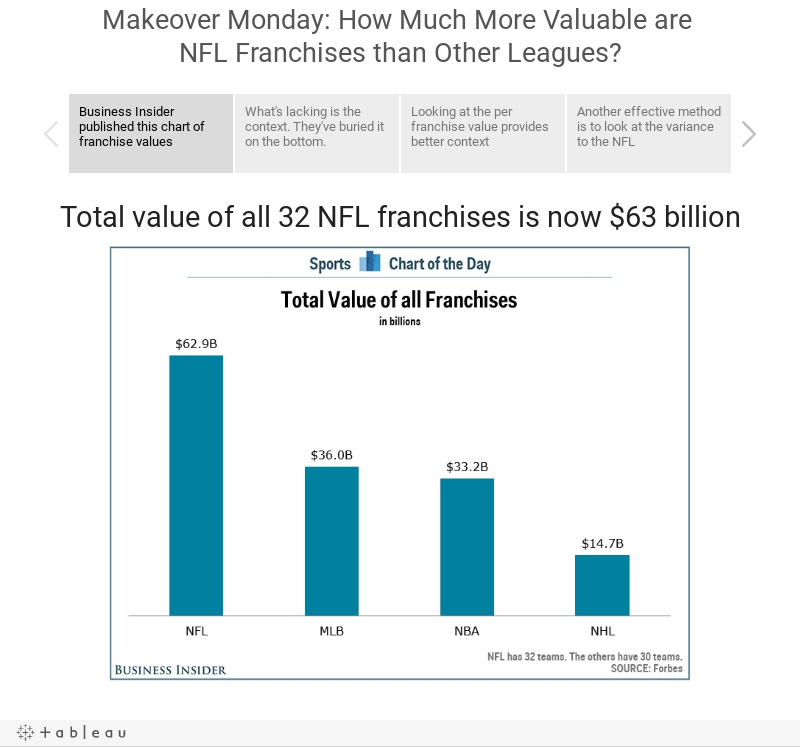 Makeover Monday: How Much More Valuable are NFL Franchises than Other Leagues? 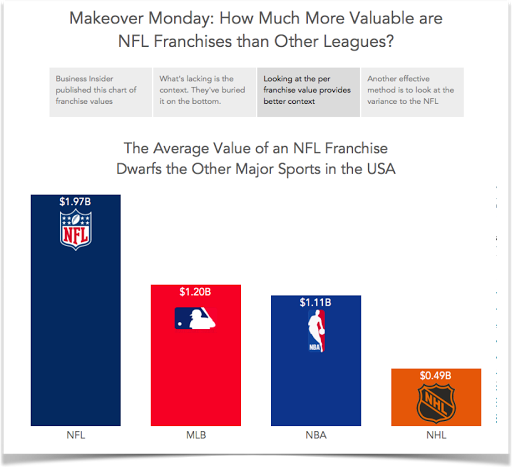 A couple weeks ago, Business Insider published a very simple bar chart showing the total value of all franchises for the four major professional sports in the USA. 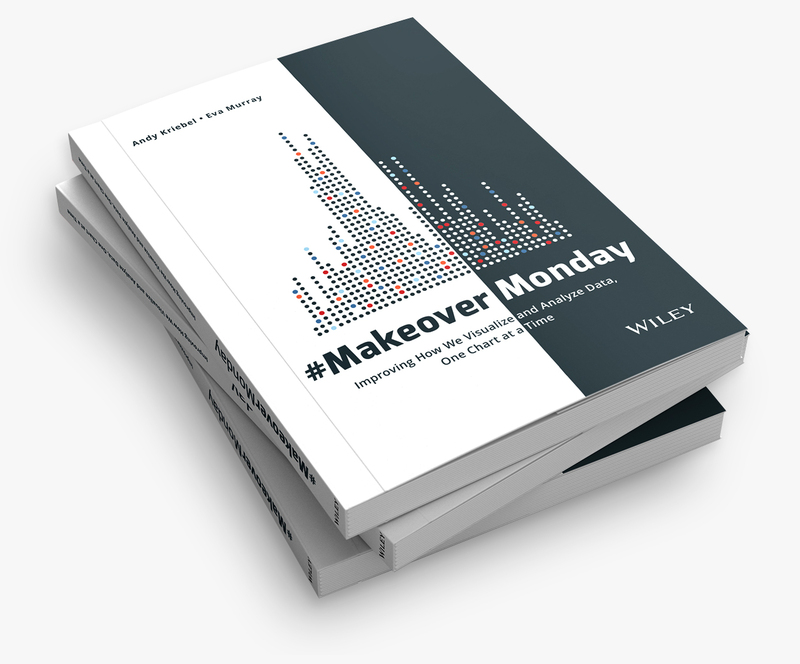 At the Data School, I’m always stressing context in visualisations. 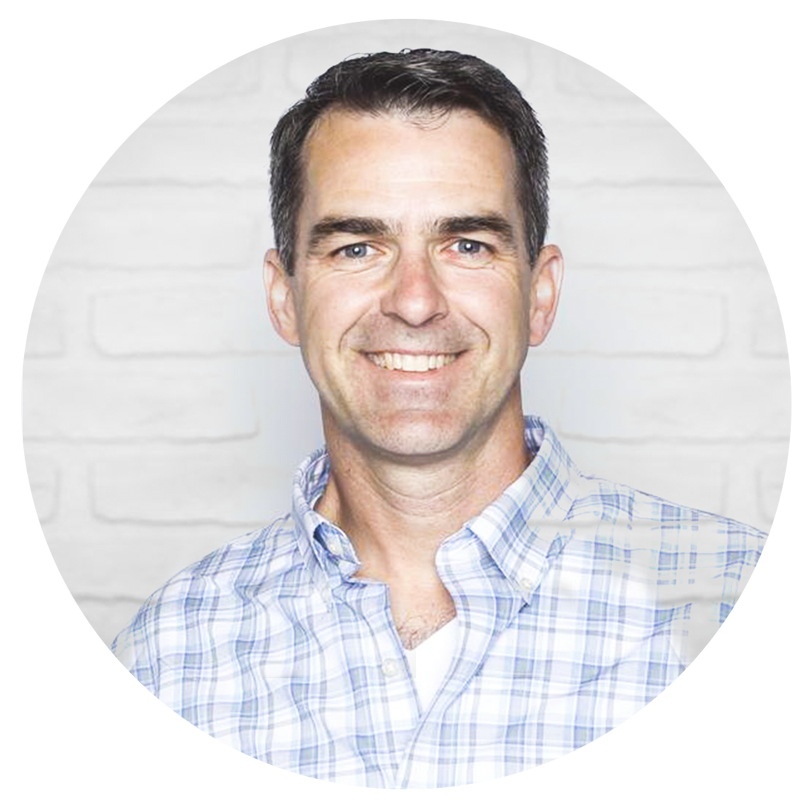 Business Insider’s chart is lacking context, so in today’s makeover, I walk you through a few simple methods for adding context to a simple bar chart.